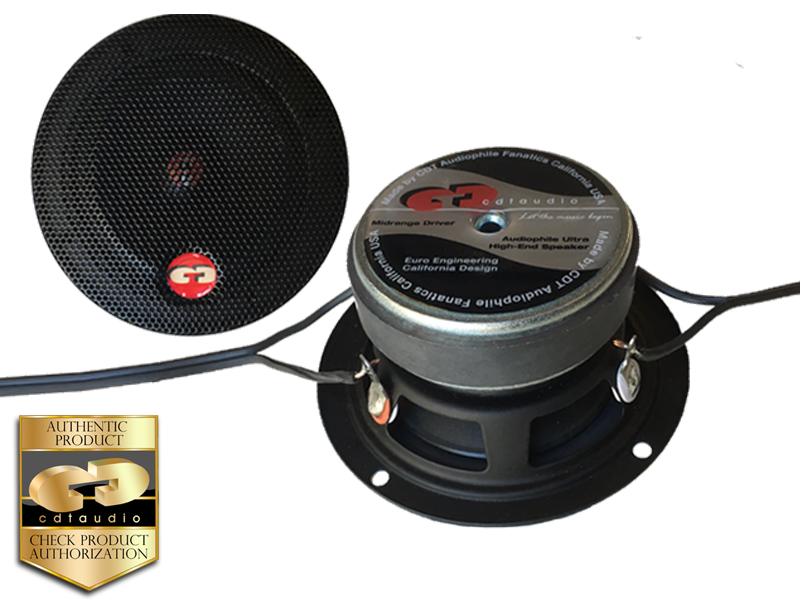 2X4 Ohm Dual Voice Coil 4” Hybrid Mid-woofer driver two speakers all-in-one. The cone of ES-03DVC 3” midrange driver is made of a light, yet rigid, Kevlar mix fiberglass. Producing unrivaled midrange that is engineered just for your car to make the most perfect blend with any CDT tweeter and crossover. Dual voice coil open the door for many types of use. Wire the voice coils in parallel and get a superior 2 Ohm speaker. Run left and right signal to each coil and get a center speaker performing sound from both left and right channel. Suitable for enclosed or free air use in your vehicle, this wide full range driver provide full and rich extended midrange down to 100Hz up to a top end frequency of 11,000Hz. If your listening tastes are for superior midrange detail with a sweet and smooth upper sound, these drivers provide optimum extended range and wider frequency range than any other driver on the market. Wire in parallel for 2 Ohm use.